Have you been wondering dear reader what a brilliant life might be? Congratulations if the answer is yes because this means that you have applied the character strengths of curiosity and/or love of learning. Knowing about and using one’s top strengths is one of the four pillars of what I call leading a brilliant life. There are three others. This blog and my work are about how to be happy here and now and how to contribute to the greater good without harming oneself. That’s when you lead a Brilliant Life. You will find several articles here about how the mind influences the body and vice versa. This article is for you if you’re always chasing time, always on the run and long to find inner calm again. A pathway to follow in order to thrive with focus and ease. #2 Know yourself and play to your strengths! These pillars can bring you holistic success as well in your mind and body as in the world. Being clear on step one and two will make it easier to achieve happiness in the present moment. On the other hand, if you are not in a great state here and now you won’t be able to figure out what your life’s mission is and how you can live on purpose. Pillar # 4 is: know what activities, people and places fuel you with energy and joy. Our physical environment and the presence of other persons have a big effect on how we feel, think, speak and act. Pillar number 4 of a #brilliantlife is to practice self-care first. Check this out, in case you don’t know which activities energize you completely and make you forget the time because you get into the flow. If you don’t give yourself enough care and attention, this will affect negatively what you can do for others. If you have chronically stress in your body instead of ease this will impact your way of thinking and where you focus on. You are less effective, less able to set boundaries and make different choices. Learn and practise to be at ease first. While writing this post I went to a spacious and bright place. I had an Italian espresso and some chocolate while thinking and typing. Writing is an activity that gives me energy and puts me into the flow. It is also my favourite way of expressing myself in the world. I could apply my signature strengths of spirituality (because this is meaningful to me and I way I can contribute to making this world a better place), love (because I care for the wellbeing of others) and love of learning (and teaching). Sharing with you what I cherish and what I know can make a huge difference to your life fills me with joy and gives my existence purpose. Easy to achieve, isn’t it? Please share this article on your favourite social media platform using the buttons below. Thank you! This is wonderful Patricia! Great work and look forward to reading more of your work! 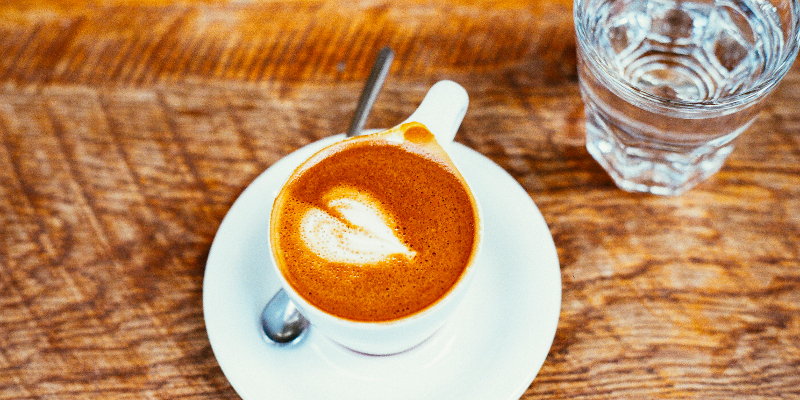 I enjoyed reading this Patricia, as a psychotherapist I work with people on self care and self knowledge, and very often it’s the simple, small things in everyday life that make such a difference – chocolate and coffee in a nice environment. Thanks for your kind words Jane. I agree completely with what you say (plus cultivating self love which I wrote about in other posts). I look forward to learn more about your work and read your posts, too. Let’s stay in touch.